"There’s just a great feeling when you give a student the self-confidence they get from Frisbee®," observes Chris Wirszyla. "Many students don't play traditional sports, and when they play against people who do, they’re overshadowed. Frisbee gives them an equal start, so anyone in the class has a chance to be the best." Since joining a club team at a college in New York in 1985, Wirszyla has been hooked on Frisbee and has started a club everywhere he has gone -- as a college junior in Eastbourne, England, as a student teacher in Vienna, Austria, as a teacher in Barcelona, Spain, and as a university professor in Greenwood, South Carolina. Now his physical education students at Cape Fear Elementary School in Rocky Point, North Carolina, are joining in the fun. Wirszyla proudly admits that he loves Frisbee and wants others to love it, too. His favorite activity is playing freestyle Frisbee on the beach with his brother. Wirszyla's "Ultimate Frisbee Club" is just one of several "Cub Clubs" offered at the school each Friday. Students have the opportunity to choose from a broad spectrum of activities -- scrapbooking, LEGOs, recycling, football, chess, Spanish, books/movies, yoga, and more. The idea is that students are more likely to put effort into a class they select themselves -- and that they might be encouraged to continue that activity for a lifetime. "One year, a third grade girl just absolutely fell in love with Ultimate Frisbee," Wirszyla recalled. "She practiced and practiced, and became by far the best player in the whole school. That also applies to kids who learn freestyle moves, or play and get hooked on Frisbee golf -- Frisbee is a sport they never even imagined playing, let alone becoming good at!" Wirszyla received a $4,000 Lowe's Toolbox for Education Grant to install a Frisbee golf course at Cape Fear Elementary, and students love the nine-hole modified course. Frisbee club members use it during class time, and many students talk about coming on weekends to play with their families. 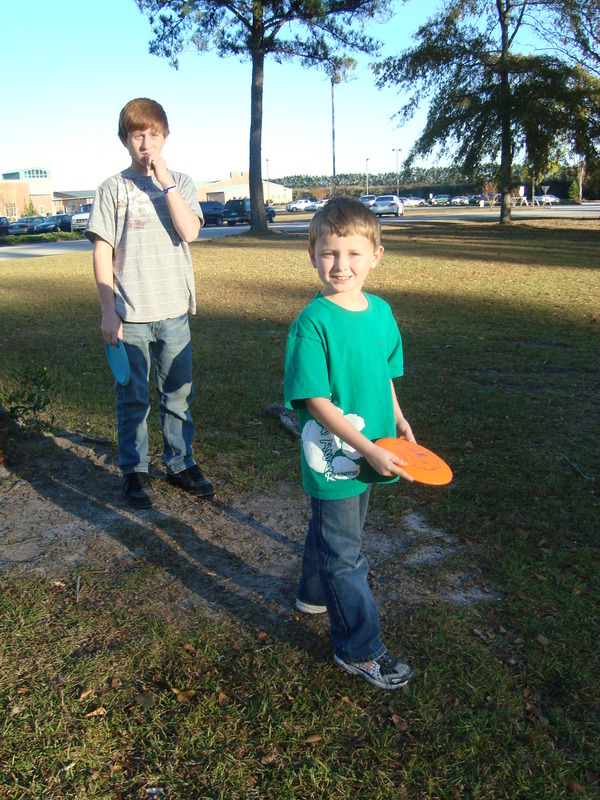 "Recently, we held our first Frisbee golf tournament as part of a family involvement grant," Wirszyla reported. "That was a lot of fun and got families playing together. We highlighted it in the local newspaper, and the kids got a big kick out of the event. We also use the course as a stress-buster for faculty, who go out after school and play a round or two." Frisbee is fitness with flair. Watching families engage in Frisbee fun together is heartwarming for the teacher known in various regions as the "Frisbee Guy" and the "Dan Marino" of Ultimate Frisbee! He has connected with former students through Facebook to discover that they too have spread the joy of the simple sport by starting clubs around the world. "The first step to starting a club is to get the right Frisbees," Wirszyla advises. "The best ones to use are the 165 gram size, even with elementary level students. That size disc won't get taken easily by the wind, and if you teach proper throwing and catching techniques, it is quite safe." Wirszyla has published several cues for Frisbee through PE Central's Activity Cues. He purchases all his Frisbees for a few dollars each from Discovering the World. Although some discs have minor cosmetic flaws, the flaws do not impact performance. "It’s important to teach the skills through the game stages -- learn to control the object by stretching with it, doing simple tricks, manipulating it with balances, self toss and catch, little games, and so on," explains Wirszyla. "Then, teach the five basic grips and throws: forehand, backhand, overhead, overhand wrist fling, and reverse thumb throw. 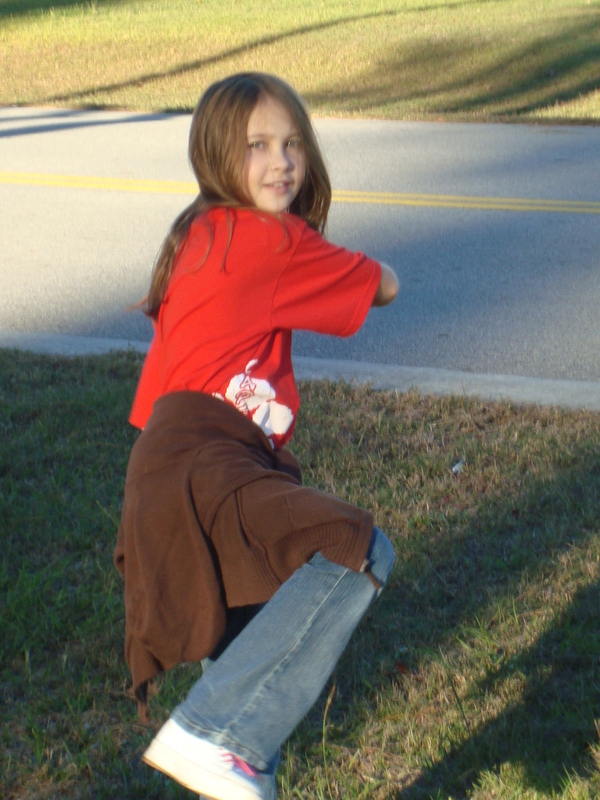 Show kids tricks they can practice, including skips and upside down throws." Next, Wirszyla teaches games, freestyle, golf, and Ultimate Frisbee. Modifications -- such as using a ball for the game of Ultimate Frisbee before using a disc -- can be made until students develop the prowess to play the real way. Students can control the ball while they learn the rules and tactics of the game. Videos and clips (from YouTube and other sources) of pros -- and even canines -- competing in the games will inspire newcomers. Having taught thousands of people to play Frisbee, Wirszyla firmly believes it’s an activity anyone can learn to do well, both for fitness and for fun. "Many people get turned off by the more exclusive team sports like volleyball, basketball, and football that are dominated by people who are good at the games because they’ve been playing for years. Newcomers never play the sports again!" added Wirszyla. "With Frisbee, everyone starts out on an equal footing, so anyone can get to be skilled. The better you get, the more you play -- and the better you get! Frisbee is a sport anyone can play for a lifetime -- which is a national and state standard for PE!"